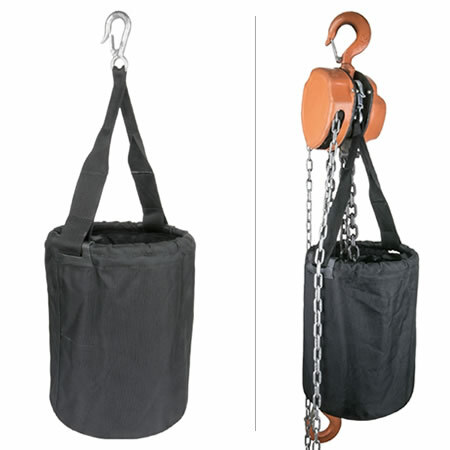 Fabricated of 1000 denier textile fabric with a heavy-duty hook, this round-shape chain bag can be attached to the chain block easily and provides a large compartment for accommodating chains. Supporting straps are stitched with the round frame directly so as to hold the weight firmly. Solid and flat bottom distributes the weight evenly, and three drain holes on the bottom keep the chain dry and rust-free. 1. Made of 1000 denier fabric with for maximum durability . which provides the ultimate and strongest structure for a holding bag. 3. 9mm thickness wood plate at the bottom distributes the chain weight evenly. 4. 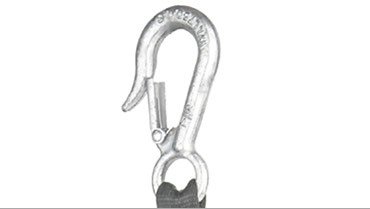 Snap hook is galvanized 7/16” drop forged carbon steel rated for SWL 750kgs. making the overall profile in 60cm height. Comes with carbon steel snap hook rated for SWL 750kgs. 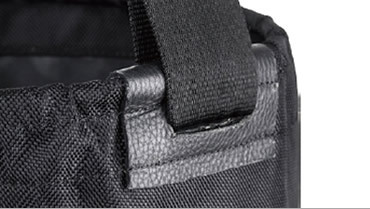 Strap and frame is secured with a leather cover to give the fabric greatest support. 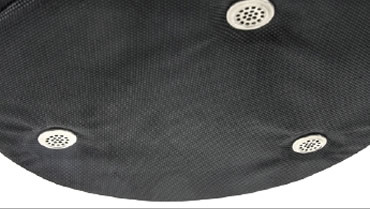 Three drain holes on bottom to evacuate the rainwater and keep the bag dry.